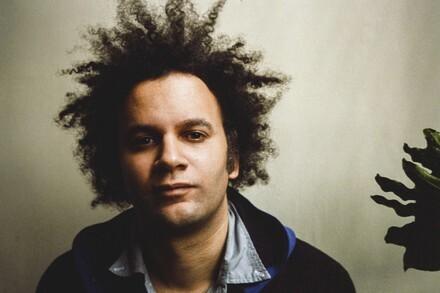 The son of award-winning avant-garde musician Anthony Braxton and a graduate of the Hartt School conservatory, one might not have expected Tyondai Braxton to be part of one of the most successful indie rock groups of the mid-2000s. However, that’s just what he was as a member of Battles during their early career apex. Following the release of that group’s critical smash Mirrored (2007), Braxton unleashed his debut solo album Central Market (2009). The ostentatious collaboration with Wordless Music Orchestra is a balanced collection of chamber music that keeps chaotic frontiers of urgency in check with doses of acoustic serenity. It was around this time that Braxton left Battles and saw Central Market take him into a new realm of composition and performance. The work was performed with Wordless Music Orchestra at Lincoln Centre and the Library of Congress in the U.S., then selected by Steve Reich to make its U.K. premiere at the Reverberation Festival at the Barbican Centre. From there, Braxton would go on to perform and collaborate with such figures as Philip Glass, Kronos Quartet and Bang on a Can All-Stars as well as Carnegie Hall and the Guggenheim in New York. It was at the Guggenheim that Braxton debuted HIVE, a multi-disciplinary installation and performance for electronics and percussion. Selections from this were recorded for his sophomore album HIVE1 (2015) and the companion EP Oranged Out (2016). Recent performances as an electronic solo act have seen HIVE take even newer formations. Working with a basis of generative electronic structures created for HIVE, Braxton now improvises new facets into the living, breathing work. Catch him live at this year’s Sled Island—there will literally never be another performance quite like it.